A Weekend for the Brides! This weekend we have two amazing events that we are so very proud to be a part of. 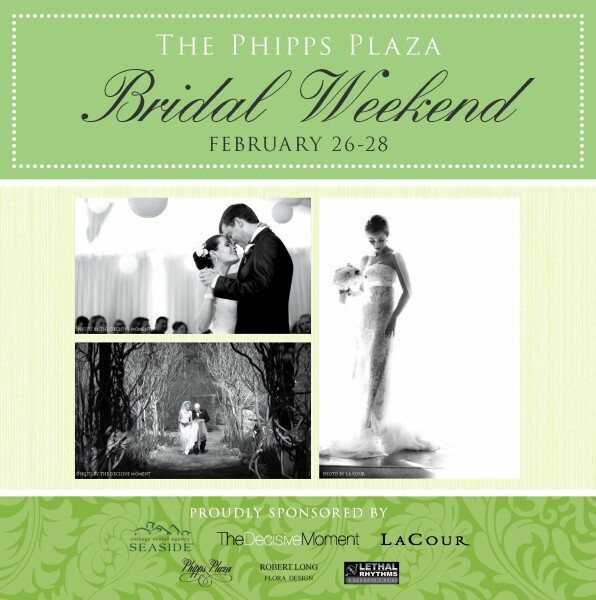 Friday – Sunday, we’ll be at The Phipps Plaza in Atlanta for a Bridal Weekend, hosted by the Atlantan Brides Magazine! 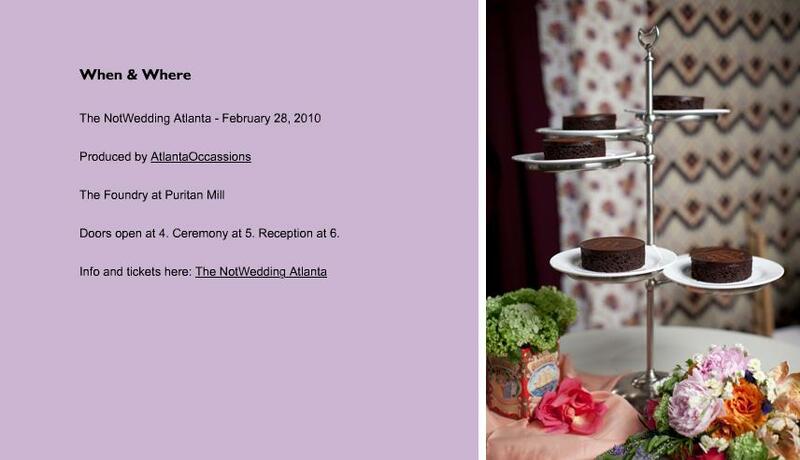 Here, you get all the vendor information you need to plan the perfect wedding! Not to mention, you will witness gorgeous new trends for your upcoming wedding celebration. From fashion to food, music to décor and much, much more – you will have the tools you need to throw the wedding of the year! As if this weekend-long party wasn’t great enough, we were asked to be part of another fantastic affair – The Not Wedding! You are cordially invited to a wedding! And although you do not know the bride and groom, you get to witness their nuptials and attend their reception! 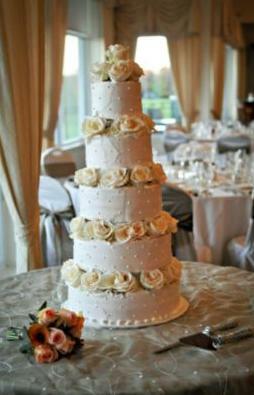 Best part of all is, if you see, hear, or taste something you like (for instance – the flowers, the music, the cake! ), you get to book with the couples’ vendors! You see, all of Atlanta’s finest retailers will be there, giving you more than just a sneak peak of what they are capable of creating for a wedding and most importantly, for your wedding! Join us for these fabulous parties! And if you haven’t booked with Lethal Rhythms yet, you soon will after you hear us in action! Tell-All Thursdays: Wedding Planner Giveaway! Well, today just may be your lucky day! Lethal Rhythms Event Services is offering you the chance to win a complimentary planning package from the date the contest is over until the day of your event! Submit 1 photo of you and your fiancé. Complete the entry sheet (1 entry per couple!) below only (do not add any other information) and e-mail your entry to me, Kristy Daube, at kristy.daube@lethalrhythms.com. The winner will be announced in early April 2010! Be sure to read the questions carefully, together with the contest rules, also listed below. PS: We created the visions below for a Fall wedding and all photos are courtesy of Imagemakers Photographic Artists, a Massachusetts-based Photographer. 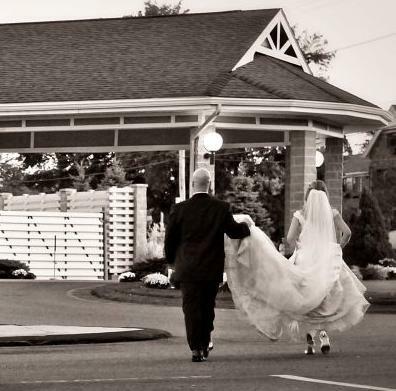 Lethal Rhythms Wedding Planner Giveaway! The Lethal Rhythms team invite you to enter into our Wedding Planner Giveaway! GRAND GIVEAWAY: Wedding Planning services beginning on or about April 10, 2010 until the day of the wedding, not to exceed 18 months. The contest winner expressly agrees that the prize awarded is for complimentary event planning services only. Any other expenses and costs are the sole responsibility of the contest winner, including but not limited to, any travel transportation, accommodations, attire or wedding rings and jewelry, ground transportation, meals, taxes, tips and entertainment, incidental charges, gratuities, spending money and honeymoon charges and relative spending money. Failure of contest winner to comply with these requirements will be grounds for Lethal Rhythms Event Services (“Lethal Rhythms”) to disqualify the winner, withhold services and/or cancel this Agreement. The contest winner (“winner”) will be required to sign a contract containing the terms and conditions as a requirement of receiving the Lethal Rhythms Wedding Planner Giveaway prize package. Thoroughly read the categories below to see if you qualify and if so, how to enter to win this grand gift! Applicant must be currently engaged (a couple with a mutual intention to marry at the time of the entry), legal residence of the United States, each is 21 years of age or older at the time of the entry into the contest, and neither is already legally married. The winner agrees to provide identification and documentation of the foregoing facts upon request. Contest begins on Friday, February 5, 2010. In order to be eligible, entries must be received no later than Monday, April 5, 2010 by 11:59PM EST. Submit 1 picture of you and your fiancé and complete the entry sheet below only and do not add any additional information. E-mail all entries to me, Kristy Daube, at kristy.daube@lethalrhythms.com. Winner will be chosen no later than April 8, 2010. The winner, by participating in the contest and accepting the prize, hereby acknowledges that s/he have granted permission for Lethal Rhythms and the participating vendors to use the winning couples names, biographies, contest entry, the story of the planning and their wedding and reception and/or likeness in any media for any commercial or promotional purposes without further compensation. The contest winners each hereby waive their right to inspect or approve versions of their respective images. If requested, contest winners will execute any required documents or releases in order to effectuate this provision. Each of the contest winners releases Lethal Rhythms and its successors from any claims that may arise regarding the use of the contest winners’ images and/or information, including claims of defamation, invasion of property, infringement of moral rights, right of publicity or copyright. Lethal Rhythms and the vendors related to this contest are permitted, although not obligated, to include the contest winners’ names as credit in connection with the event. The contest winners acknowledge they have complied with the contest and wave all rights to be compensated or reimbursed for any loss, damage, or expense arising out of or in connection with participation in the contest or the acceptance, use or misuse of the contest prize and hold harmless, Lethal Rhythms and our participating vendors.